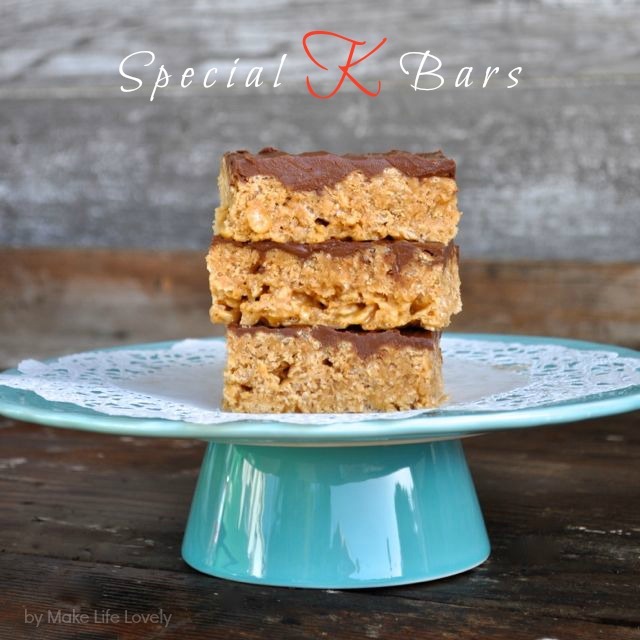 I’m kind of in love with Special K bars and this Special K bars recipe. I’m not sure if it’s the chocolate, the butterscotch, the peanut butter, or the cereal that does it for me, but this is definitely a case where the whole is better than the sum of the parts! My family has been making this recipe for decades. I remember looking forward to my mom making it every year for Christmas. 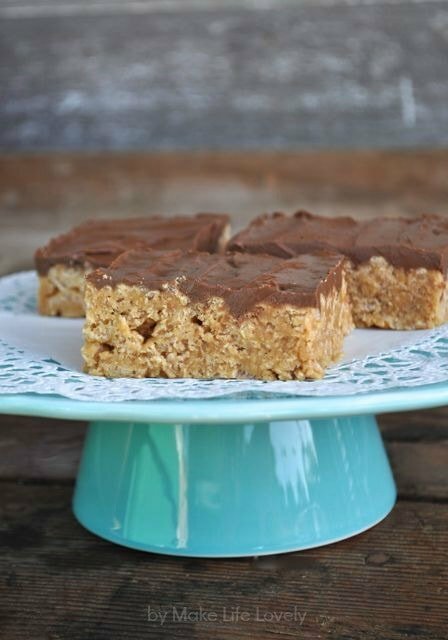 This Special K Bars recipe is definitely one of my favorite dessert traditions! Don’t limit yourself to eating these bars (also called Scotcheroos) just during the holidays. 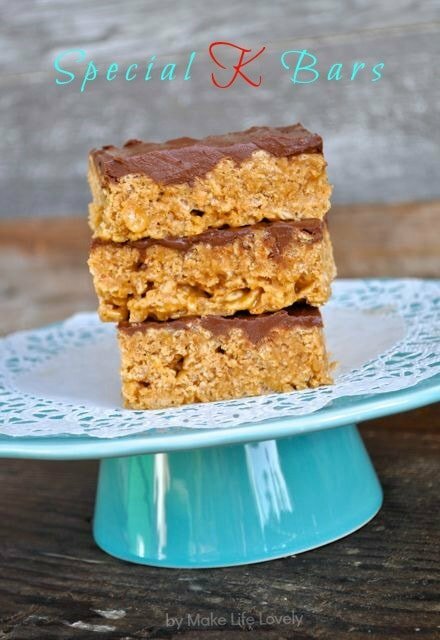 Special K bars are delicious anytime and are always a hit with everyone I share them with. Here’s the recipe- they’re seriously easy, and super delicious. Enjoy! STEP 1. Stir the sugar and corn syrup together in a pot until the mixture boils. Remove from heat. STEP 2. Stir in the peanut butter, and then the Special K cereal. Mix thoroughly. STEP 3. Pour mixture into a 9×13 pan, and press down on the mixture. STEP 4. Melt the chocolate and butterscotch chips together on low heat in a small pan. Pour onto the cereal bars and smooth with a knife. Put in the fridge to cool, and then cut into bars. For more chocolaty goodness, try out this perfect chocolate cake recipe. One bite of this, and you’ll never make a chocolate box cake again! These chocolate no bake cookies and these chocolate Andes Mints cookies are pretty amazing, too! I confess that I have not ever tried Special K cereal…Are these bars crunchy or compare to rice krispie bars? I prefer a chewy or soft bar personally. 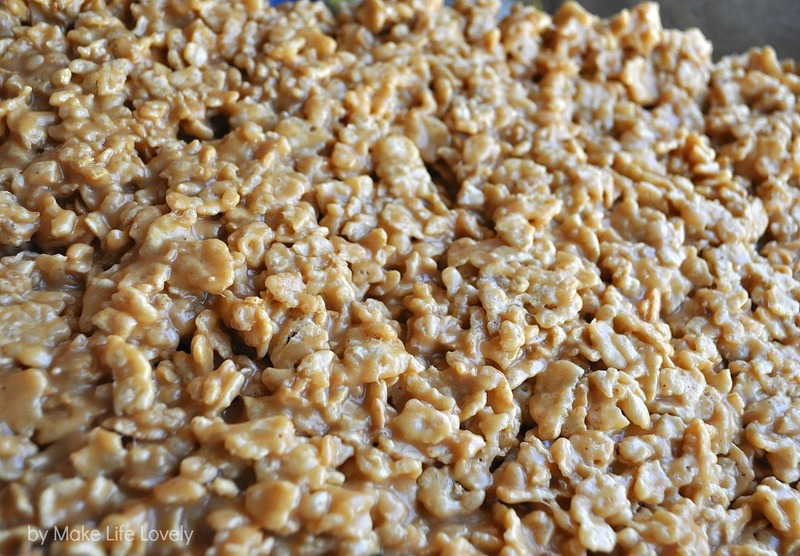 I LOVE adding melted butterscotch chips to dessert bars and have a butterscotch oatmeal bar recipe that I really like. Unfortunately, the recipe makes a lot and they dry out before I eat very much of them. They have a similar texture to Rice Krispie bars. A little crunch, but mostly chewy. The taste is amazing, and you can freeze any left that you don’t want to eat, or even just half the recipe! These have been a favorite at our house for decades. My husband’s aunt made them regularly and gave me the recipe. It is pure gold. i have never met anyone who did not love them. They have become our signature treat. Rice Crispy treats are yummy, but this recipe is heavenly. Definitely better than the sum of its parts. 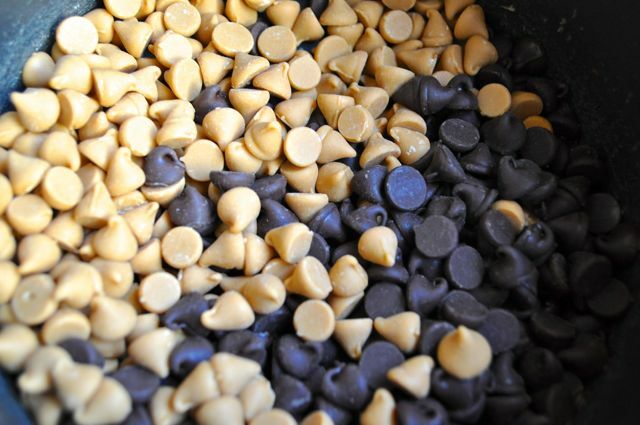 We use whole bags of butterscotch and chocolate chips. I love when a recipe becomes a family favorite! I wholeheartedly agree, this recipe is pure gold! These bars are so delicious and very addicting. A whole bag of each of the chips sounds great- the butterscotch and chocolate topping really ties it all together. Wondering why mine turned out stale? Any help? All ingredients were fresh…the bars just turned out with little cruch and are extra chewy….thoughts? Stacee not 100 percent sure but possibly too much corn syrup or corn syrup was boiled too long?? Or possibly overmixing and crushing the cereal… 🙂 I use a cup of corn syrup but leave the syrup on side walls in measuring cup and they turn out yummy! Hope one of these thoughts help! Delicious! I could seriously eat so many of these! Thanks for the recipe.